5 players Arsenal must attempt to sign in January | The Transfer Tavern | Where football transfer rumours fly or die! Ask any Arsenal supporter in the Football Transfer Tavern how they’re feeling at the minute and they’ll claim everything is hunky dory…for now anyway! 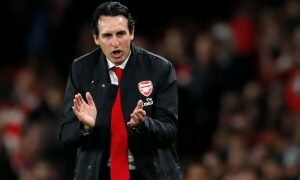 Having achieved an impressive victory away at Olympiakos last week to set up a Champions League last 16 tie with Barcelona, the Gunners also made light work of a 0-2 victory away at Aston Villa with Gooners in good spirits leading up to Monday night’s huge top-of-the-table clash against Manchester City. 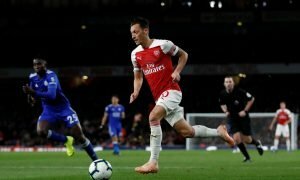 The game at Emirates Stadium has been billed as a potential title decider but in reality, Leicester City are top of the tree at the moment, not to mention the fact that the loser will still have a huge chance of winning the big prize come May due to the fact this is the tightest league campaign in many years. That said, if there is to prove a winner on Monday night, either City or Arsenal will have even more belief that they can get the job done come the business end of the season. Something else that will of course help is any potential new arrivals in the January transfer window which will be upon us in just a few weeks. Now while we all know about Arsene Wenger’s frugal nature in transfer windows, surely even the wise old Frenchman would be more open to strengthening the ranks this time around with the Gunners’ annual injury crisis having struck again this term. So far, Arsenal have managed well with the likes of Mathieu Flamini and Joel Campbell stepping up admirably but to gain that vital edge in a tight season, surely signing another one or two players is the way to go. With that in mind, we’ve devised a list of five potential January signings that Arsenal simply must attempt to buy at some stage or another next month. Click on the image below to reveal the five players Arsenal must attempt to sign in January.